Here we are, once again, with the North American Nintendo Download Update. This week most certainly has some tempting options; on 3DS we have the latest in an iconic Capcom series and a welcome port on New 3DS, along with a Konami classic on the Virtual Console. Wii U is led by a gorgeous Nindie arrival as part of the 'Summer Jam', along with some interesting options and a popular Wii download. Add to that discounts and 3DS HOME Themes and there's a lot to consider, so let's get to it. Missed the European Nintendo Download Update? It's ok, don't panic, the details you need are right here. 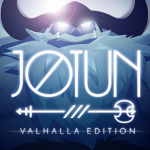 Jotun: Valhalla Edition (Thunder Lotus Games, $13.49 until 15th September, normally $14.99) - A well-regarded title that Nintendo is promoting as one of the key 'Nindie' releases this month, it adopts an overhead view as you battle to prove yourself to the Gods. It has eye-catching visuals and is steeped in Norse mythology, and thankfully delivers on its potential; we're full of praise for this in our Jotun: Valhalla Edition review. 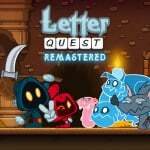 Letter Quest Remastered (Digerati, $9.99) - A word-based game which employs turn-based RPG elements, this has plenty to offer for wordy gamers. We were full of praise for this one in our Letter Quest Remastered review. 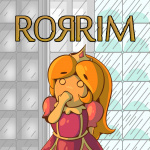 Rorrim (Nitrolic Games, $5.00) - A Princess gets sucked into a mirror and a world of dungeons, and you have to guide her through maze-like areas from a top-down perspective. The twist here is that the GamePad and the TV show 'Mirror' and 'Real' viewpoints, so you need both to solve the puzzles and make progress. We'll go on a rescue mission and let you know what we think. 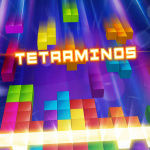 Tetraminos (Sanuk Games, $4.99) - As you'd expect with a name like that this is a new spin on the classic Tetris formula; this budget offering includes a puzzle mode with 50 levels, an Endless option and local Vs. play. We explain why we think this is rather average in our review. SphereZor (James Guard, $4.99 until 15th September, then $9.99) - Targeting an 'arcade feel' across 70 levels, this shoots for colourful visuals and tasks you with safely guiding your character around fixed-screen stages while dodging plenty of foes. It also supports local multiplayer for up to four; we'll check it out for a review. The Gem Collector (TreeFall Studios, $2.99) - A 2D platformer with 21 levels, with a focus on grabbing as many collectibles as possible; there's also drop-in/out co-op if you have a Wii U Pro Controller. We'll see whether this is a gem in our review. 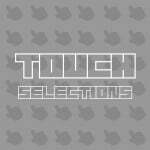 TOUCH SELECTIONS (RCMADIAX, $2.99) - This combines two previous releases in one download: PEG SOLITAIRE and AVOIDER. 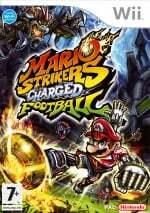 Mario Strikers Charged (Nintendo, $19.99) - A game that helped solidify the reputation of Next Level Games, and notable for supporting decent online play on Wii (which is unlikely to be supported here), this wacky take on football incorporates typical Mario shenanigans with solid arcade gameplay. We gave this a strong recommendation in our original Mario Strikers Charged review. 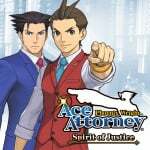 Phoenix Wright: Ace Attorney - Spirit of Justice (Capcom, $29.99) - The latest in the series to make its way to the West as a download, this one features an extended cast of familiar faces, a mystical location and new features and twists such as séance trials. We gave this a glowing and detailed recommendation in our Phoenix Wright: Ace Attorney - Spirit of Justice review. Futuridium EP Deluxe (MixedBag Games, $7.99 or free if already owned on a Wii U eShop under the same Nintendo Account) - This futuristic and high-speed title has you flying and shooting through a variety of colourful environments, with the promise of 60fps with 3D enabled. Think of a faster Star Fox with elements of the Death Star run from the first Star Wars movie, and you're going in the right direction; we like this in our Futuridium EP Deluxe Wii U review, but will take a separate look at the New 3DS version. Super Castlevania IV (Konami, $7.99) - Some would argue that this is near the peak of the Castlevania franchise. This Super NES title is held in particularly high esteem for good reason, and is sure to tempt some downloads on the portable; you can see what we thought in our Wii U Virtual Console Super Castlevania IV review. Ace Attorney first chance I get, but nothing else catches my interest at all. Curse you Nintendo. I've spent like $40 a week on games for the past 2 months...ahh!!! super castlevania for sure. I know this will be the 4th time I buy it but I would love to have on my new 3ds. I loved Mario Strikers on the Gamecube, but never played the sequel. Maybe that should change. Rorrim sounds interesting. Love that name! Will buy Spirit of Justice in hopes of helping The Great Ace Attorney to get localized. Boycotts don't help! So I assume we aren't getting a review of Touch Selections? oh boy super castlevania iv. i didn't think a game could be that cinematic, even with the slowdown in that one stage. it's up there with symphony of the nite. i still remember near the end where you had to outrun this thing and it took several sleepless schoolnights of trying before i finally got past it. i was so proud that i resisted temptation to use my game shark to finish it. so getting this. Nothing for me this week, but I'm happy to see Mario Strikers Charged on the list! Great game! Pretty excited for Jotun. Beautiful game. I'll just keep Jotun: Valhalla Edition, Letter Quest Remastered, and Rorrim on my wishlist for now. I see Fairune is on discount again, enjoyed it up to the final boss unexpected gameplay change, any recent news on the second one? Hope it makes its way over here. Nothing for me this week, though I may dip into the discounts. @ap0001 I'm hoping to see news about the second game too, as well as Brave Dungeon. When the hades are we getting Pokemon Snap for Wii U eShop/VC? I'd get Castlevania if it wasn't $11 + 13% tax. I didn't get 2 other SNES games I've wanted for the same reason, although this one is different because I've never played it before. Still unwilling to get it though at those prices. I already have Futuridium EP Deluxe on my Vita. During Flashsales you can often get PSX games on PSN for as little as $2. A up-rezed and trophy'fied PS2 game on PS4 is $10 and $15, and those are not just re-release but upgrades over the originals. Plus, they are on sale every couple of months, so you can get for half the nominal price of less with some patience. Nintendo is just not competitive as far as pricing and digital distribution goes. The NX itself is not going to fix this, it's a piece of hardware. They need to rework the business end of things. Well MN9 is still about $50 too expensive. I'm definitely getting Futuridium right away. I gotta read up on Jotun, but I got a really good feeling about it. I'll get Phoenix Wright sooner or later, but I'm waaay behind on that series, so I'll hold off until I'm at least playing the 5th one. And I might grab The Keep depending on how much its on sale. $12.99 is just too much outside my range for eShop games, and unless its the same caliber as Freedom Planet and Jotun, I doubt it'd be worth it. 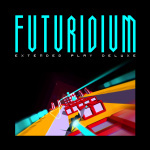 @CanisWolfred Also worth noting that with the Wii U discount you can get both versions of Futuridium for $7.99. 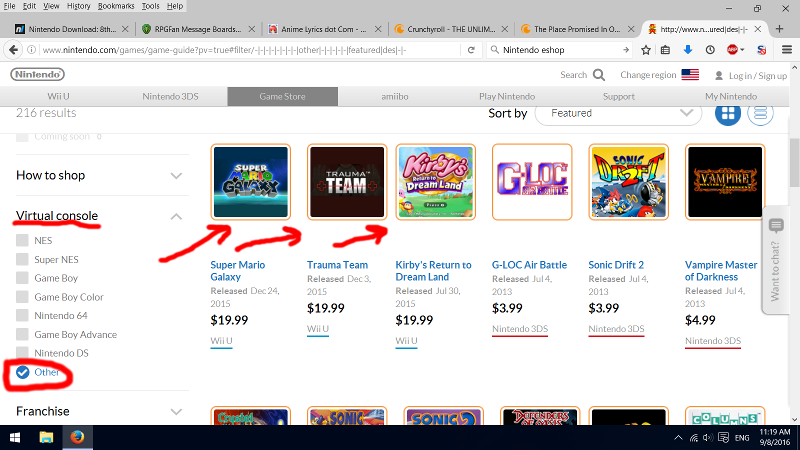 I'm sick of Wii titles being classified as "Virtual Console" games. Per Wikipedia's article: "Although similar to Virtual Console titles in some ways, these games are not technically part of Virtual Console as they run on native hardware rather than by emulation, and they are not branded as such either." @ThomasBW84 - Yet, that's whats putting my over the edge. Same with the minor sale for Jotun, I may as well grab both today. I'll get Spirit of Justice after I play the other games. Maybe Mario Strikers Charged as well. I'm not buying anything, trip to WDW coming, but AA and Jotun sound great. I also just bought an external HD for my Wii so that's my gaming spend for the week. The Futuridium deal only works the one way correct? have to buy the WiiU version to get the 3DS one free? I have my 3DS with me at work to play over lunch but if I need to wait til I get home to buy, I will be doing that instead. Oh.. and SCIV. I wish they would release Wii games for $9.99 for a limited time, like they did when they first released Wii games on the eShop. If I want Mario Strikers, I can get it for about $10 used. Wondering if Mighty No. 9 is worth the $16? I know it got mediocre reviews but I've always enjoyed the Mega Man games and I've wanted to give it a shot. @TreesenHauser you can probably tell from #26 I'm not to fond of the game. It's an overall poorly designed game with weird animation, bad level design, cheap deaths, and a pretty poorly put together foreground and background. To give you an idea about the animations, faces are a painted on texture(they're not 3d modeled) and during cutscenes they stare blankly at you while a voice over plays for the character's voice. Gameplay wise, which is what really matters, most levels are full of just cheap deaths. You have to know precise points to stand to not instant die and even then it still happens a lot. There's a slight pause too between landing from a jump and shifting to running animation that drives me crazy. I know it's not the same but spend your money on freedom planet, or giana sisters, or shantae or any other of the good indies. MN9 is as bad as the reviews say and it doesn't even really feel like megaman. @jgibson75 Apparently, Reggie likes to make NA gamers wait. I've been waiting for months now for Animal Crossing: Wild World to show up on the Wii U VC. Yay! Super Castlevania 4 and Jotun are being bought for sure. Just got Axiom Verge last week too. So I never played Mario Strikers Charged. If I get it on VC, can it be played with regular WiiU controllers and wiimotes? Or do I need to use the nunchuk and motion controls too? @stephenyap3 Brave Dungeon! I totally forgot it existed! Maybe we'll get some news at TGS like with Dark Witch 3. There's no page on NL for it, that's why I forgot it existed. @ThomasBW84 speaking of games with no pages, can you forward to whoever is in charge of these things that there appears to be no NL page for that delightful N64 party romp Worms Armageddon? Love the Strikers game on Gamecube. Too bad the sequel doesn't have custom tourneys but it's still fun. Very good week! AA, Strikers and Super Castlevania 4 are my top choices. Nothing good this go around. I'll be waiting for the next. 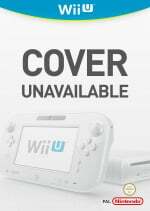 Pretty sure there is NO Classic Controller support... which is why I never bought it for the Wii... and also means that the GamePad won't work to control it on WiiU... absolute shame. Are the Wii games still $10 for the first week? I suppose it might be worth playing with the stupid Wii-motes for that price. All of the Wii gems would be even better with full GamePad support and would look great on the small screen... PunchOut, Galaxy, etc. Another snorefest for Wii U.
I would get Ace Attorney but refuse to buy them until Crapcom releases them physically in NA. "I would get Ace Attorney but refuse to buy them until Crapcom releases them physically in NA." Capcom doesn't need a customer like you. If you were a fan, you'd have downloaded it already. I've already completed case one! And cost isn't even an issue as there are many games far more expensive on eshop. Finally I can play Super Castlevania on my N3DS! Been waiting so long for this! Getting AA for week one support. Waiting on my copy of GS6 to show up anyway. Jotun as well. Letter quest too. See this is why I can't budget. I just bought a game yesterday.